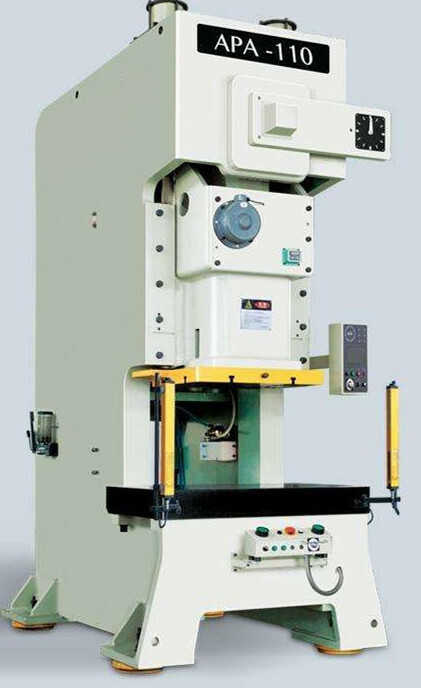 Automatic Power Punch Press Machine is used for blanking, punching, bending and forming of small and medium-sized single-engined thin steel plates and high-speed progressive die parts. 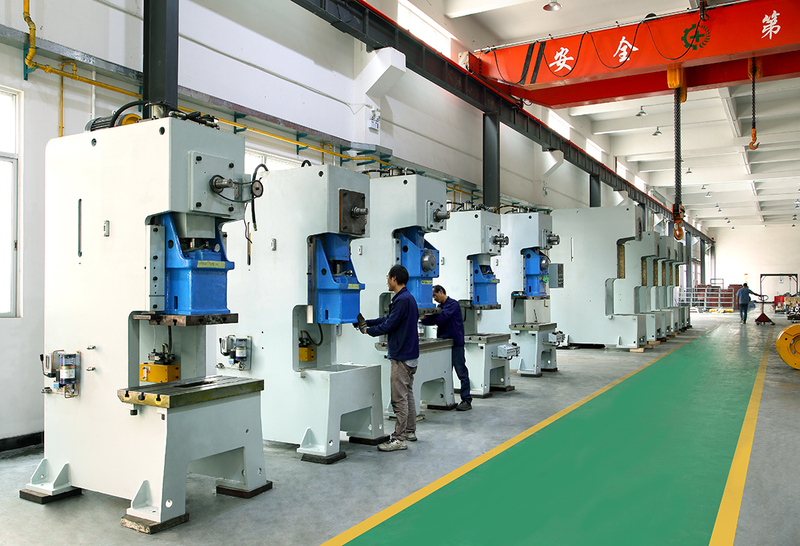 It is characterized by high-precision, high-yield and high-stability continuous stamping operations. Automatic Power Punch Press Machine drives the flywheel by motor, drives the crankshaft connecting rod mechanism by clutch and transmission gear to move the slider up and down, and drives the tensile mold to shape the steel plate.And the power press has two sliders, divided into sliding block inside and outside the slider, within the slider drive mould punch or die, outside the pressure of the slider to drive mould to coil, pressure rim first action during tensile steel edge, inner sliding block action stretch again. With high rigidity design in machine frame, Automatic Power Punch Press Machine is welded of quality steel sheet and treated by tension elimination, improve stability and reliability of precison of the machine. Adjustable stroke of slide in 8 gears, to meet the punch processing for various dies. 1. Keep the transmission center and machine center in uniformity, guarantee the precision of pressing. 2. In order to guarantee the machine running in stable and smooth, adopts the design of symmetrical boards with balancer. 3. The precision of mold adjusting up to 0.1mm, it's safty, reliable and convenient to adjust it. 4. Crank,gear and connect bar are oxidized hardening and milled, having super comprehensive mechanical performance and durable function. 5. Used reliable high sensitive clutch/brake and international up-to-date twin electromagnetic valve, overloading protector can guarantee the precision of slider running and stop and safe production of the machine. 6. 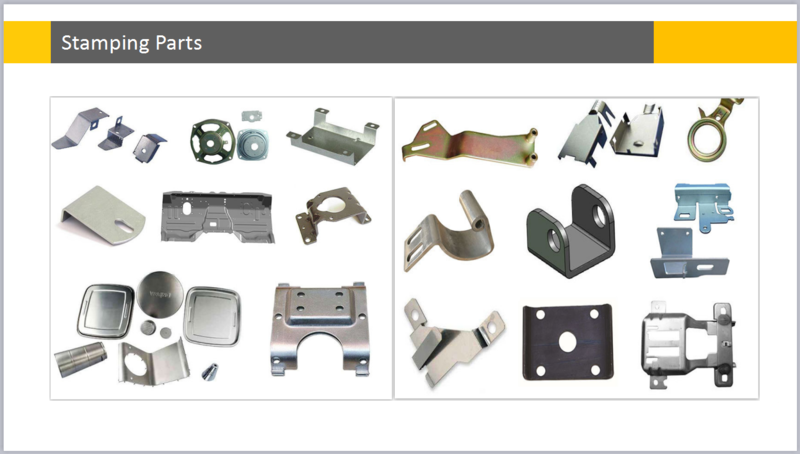 Reasonable structural design, is benefit for automative production and reduce cost,improve efficiency. 7. Advanced design principle, low noise, low consumption, low cost, save energy. The semi-finished and finished High Speed Press Machine in our warehouse. Automatic Power Punch Press line is suitable for all kinds of metal sheet stamping, including the hardware parts, home appliances, furniture hardware, motorcycle accessories, mobile phone accessories, computer accessories and so on. 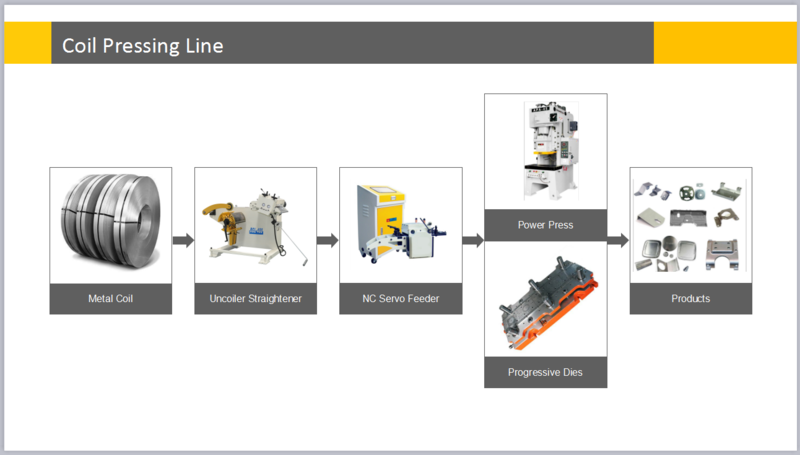 The configuration of Automatic Power Punch Press Stamping line. Step-1: Uncoiler straightener machine, Loading coil and uncoilling coil and level the strips. Step-2: NC Servo Feeder machine, Feed coil to press machine. 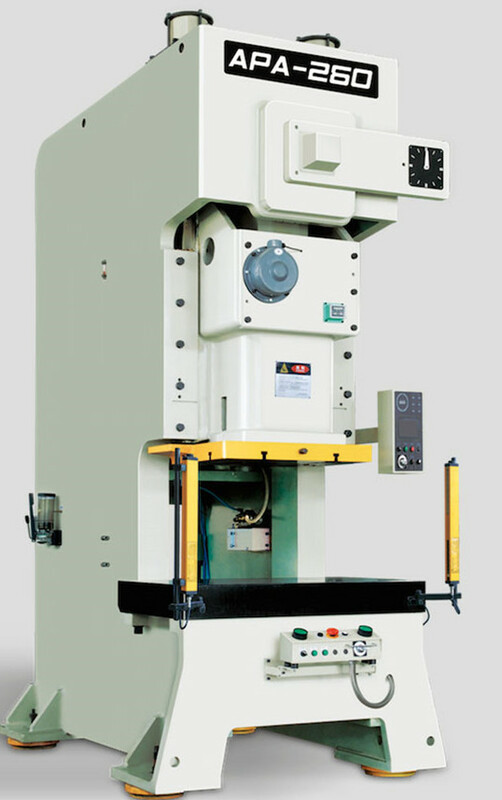 Looking for ideal C-Frame Fixed Bolster Presses Machine Manufacturer & supplier ? We have a wide selection at great prices to help you get creative. All the Punching Press Machine are quality guaranteed. We are China Origin Factory of C-Frame Power Press Machine. If you have any question, please feel free to contact us.